We had the great pleasure to slip into Bob Dylan’s world that informs or is born from his music into other mediums. Dive into the mind of this creative genius, through his artwork, lyrics and sculpture. If you can’t make it down to see it in all its glory – use the link below to enter his world. 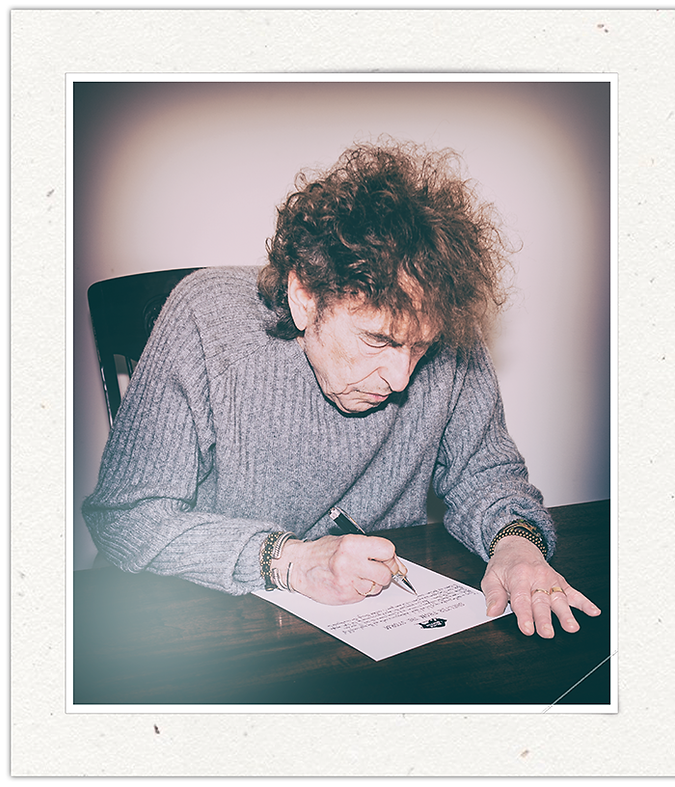 Halcyon Gallery presents a brand new Bob Dylan collection – Mondo Scripto – featuring the artist and songwriter’s most renowned lyrics, each handwritten by him in pen on paper and accompanied by an original pencil drawing. Mondo Scripto opened Tuesday, 9th October, and has been extended until the 23rd of December 2018. Bob Dylan is one of the great American artists and a worldwide cultural icon who has been inspiring audiences for six decades. Having forever changed the relationship between music and language, Dylan became the first musician to be awarded the Nobel Prize in Literature in 2016, recognised ‘for having created new poetic expressions within the great American song tradition’. Mondo Scripto explores this seminal body of work from many different and surprising angles. Dylan is continually breathing new life into his songs, both musically and lyrically, reworking them to unveil new discoveries in each chord and phrase. With Mondo Scripto, Dylan continues to reinvigorate his work by occasionally altering a lyrical line – sometimes overtly, other times subtly. With ‘Gotta Serve Somebody’ (1979) and ‘If You See Her, Say Hello’ (1975), Dylan has completely redrafted some verses to imbue the songs with new meaning. Some lyrics, such as those of ‘Tangled Up In Blue’ (1975), have been rewritten especially for the this exhibition. The individual pencil drawings that accompany each lyric enhance this unfolding dialogue with the artist’s audience. Also featured in the exhibition is an original installation reimagining ‘Knockin’ On Heaven’s Door’ (1973), illustrated line by line. Mondo Scripto opened on the 9th October, running till 23rd December. The exhibition spans the entire space of Halcyon Gallery’s 144-146 New Bond Street location. Alongside this, a series of signed, limited edition prints will be on display at Halcyon Gallery’s 29 New Bond Street site directly opposite 144-146 New Bond Street.